Takeover Day is a brilliant opportunity to attract media attention for your organisation. Here’s our guide to making the most of the opportunity in both the press and on social media. Before the event, remember to get written permission for your participants to have their photograph taken. You need to make sure they are happy for their photo to be used in all the ways you are planning to use it. Is there a local celebrity, councillor, mayor or an MP who you could invite to your event? This not only gives you a chance to show off your organisation’s work, but can also generate more press and public interest. It’s not all about digital – advertise your event with banners and posters at your museum, school and at local shops or businesses. Include Takeover Day in your events programme and seasonal leaflets. You can find our Takeover Day logo to use on your materials on our Downloads page. And we have Takeover Day stickers for museum staff and your participants to wear on the day! Feature your Takeover Day on your website as an event or a news story. You can also add the details to local ‘What’s On’ or family listings sites. 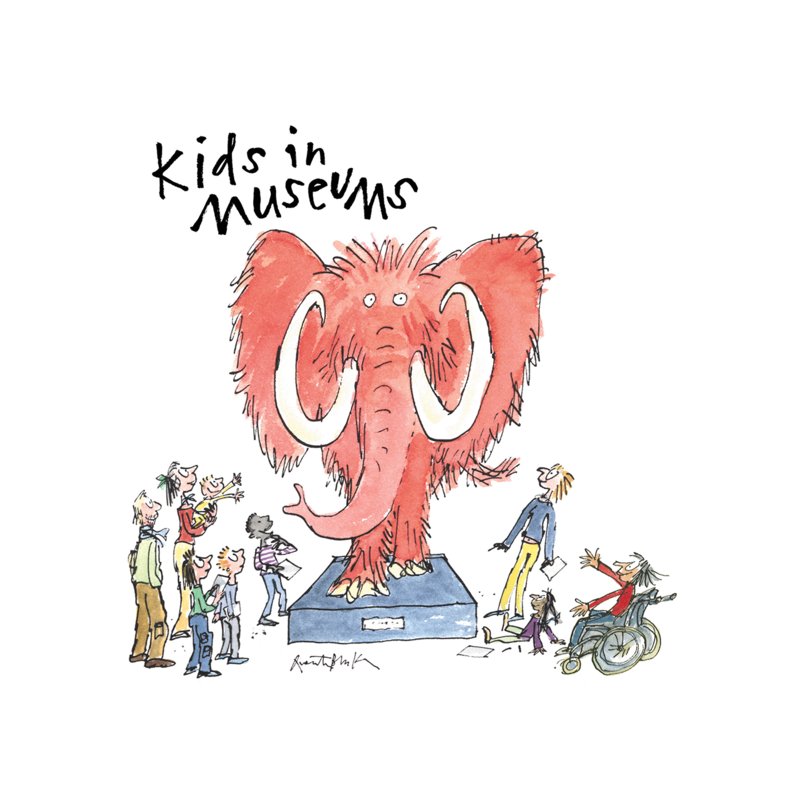 Share your event on social media using our hashtag #TakeoverDay and tagging our account @kidsinmuseums. We’re on Twitter, Facebook and Instagram, and are happy to share your posts. Our hashtag #TakeoverDay has trended on Twitter in previous years, reaching millions of people. When everyone who takes part shares the hashtag, this reach is amplified. You can hold a social media takeover as part of your Takeover Day. Visit our Downloads page to get our ‘We’ve been taken over’ Twibbon, which you can add to your profile picture to let your followers know your account has been taken over. Write a press release and send this out to local media contacts. We have a press release template to help you – simply fill in the blanks. Journalists receive hundreds of emails a day, so try to make your email as eye-catching as possible. Add a good quality image and paste your text into the body of the email, rather than adding it as an attachment. Different media outlets have different lead times, so make sure you give enough notice – aim for one week before for a local newspaper. Weekly publications will usually work at least a month in advance and magazines and monthly publications several months to a year in advance. If you’re unsure who to contact, take a look at media.info or try ringing a local publication up to see who is best for you to speak to. It’s always best to have a named contact who you can build a relationship with for future events. Think about who you’d like to put forward as a spokesperson in advance. Consider what you want to say, but try to make it sound natural, enthusiastic and concise – journalists will look for short soundbites to use. Young people are valuable spokespeople. Speak to the teacher or youth group leader to see if any of your group might be confident and happy to speak to journalists about their Takeover Day. If you are meeting your young people in advance of Takeover Day, you could ask them to write a press release or design posters to advertise the event. You could even stage a photo call in advance of the day itself. Alternatively they could take on the role of Press Officers on the day and speak to journalists about what they have been getting up to. This is also a great way to spark journalists’ interest. Or your participants could takeover your social media channels. We have a guide on Twitter takeovers to help you. Take lots of photos on the day and send the best images to the local media. Hire a photographer to capture your event or invite the local newspaper to send one. You could even hire a filmmaker to document your day. You can see a selection of Takeover Day films on our YouTube channel’s Takeover Day playlist. Let us know about your film and we’ll add it to our playlist. Share a personal account of what happened on your Takeover Day, just like these blogs from the National Archives and the V&A Museum of Childhood. Don’t forget to let us know about your press plans. We may be able to support you or even send a photographer to your event. Please send us your press coverage after the day itself to add to our records of the day.